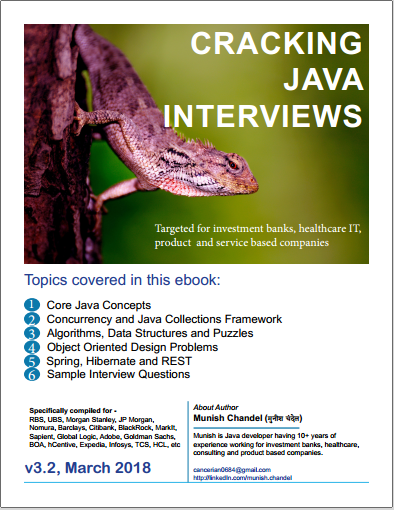 Sapient Global Market Java Interview Questions and Coding Ex..
Polymorphism - overloading vs override, specifications for override, etc. Inheritance - Abstract Classes, Interfaces, Casting classes, etc. Generics - Upper bound, lower bound etc. Multi-threading and Concurrency (must have) - wait() sleep() notify(), creating threads, Executors, volatile, Atomic package, Java Memory Model, Producer Consumer Problem, etc. Collections (must have) - ArrayList, Vector, HashMap, ConcurrentHashMap, HashSet etc. Creational Design Patterns - factory method, abstract factory etc. How do we synchronize a static method to prevent data corruption in concurrent update? How will you introduce multi-tasking in your java application? Design a program to search files inside a directory using multi-threadig? How will you implement a LRU timed cache in Java? There is a folder containing multiple SQL files. Each file’s name contain a sequence number which determines the execution order of that particular SQL script file. Design an API that will take such folder and execute the SQL in correct order. Difference between wait() and sleep() method? What is a deadlock situation? How will you handle deadlock in development and production environment? What is mechanism for inter-thread communication? Would adding multi-threading to sorting algorithm improve its performance? In what practical scenario’s multi-threading actually improves the performance of Java application? Do we need to synchronize getter and setter both to prevent concurrency related issues on a collection? Explain the key classes in java.util.concurrent package? What is purpose of ConcurrentHashMap? What is purpose of a Future? How will you use it? How will you create your own custom Thread Pool? There is three file contains flight data. File data has in csv format. 1)Write a standalone program to search flight detail from all files depend on criteria 2)Criteria would be departure location,arrival location, flight date. 3)Program should follow\Oops principle. And right unit test case also. 4)Result should be in Ascending or descending order. 5)Data separated with pipe | . Coding Exercise for Designing Smart Card System for Delhi Metro. implement 'Metro Smart Card System' (MSCS) for Delhi city. For application assume there is a single metro line covering 10 stations linearly. The stations name are A1, A2, A3, A4, A5, A6, A7, A8, A9, A10 as shown below. The travel can be in any direction. Travelers have smart cards that behave just like any regular debit card that has an initial balance when purchased. Travelers swipe-in when they enter a metro station and swipe-out when they exit. The card balance is automatically updated at swipe-out. 2.1 Card should have a minimum balance of Rs 5.5 at swipe-in. At swipe-out, system should calculate the fare based on below strategies set at the start of the day. The fare must be deducted from the card. 2.2 Card should have the sufficient balance otherwise user should NOT be able to exit. 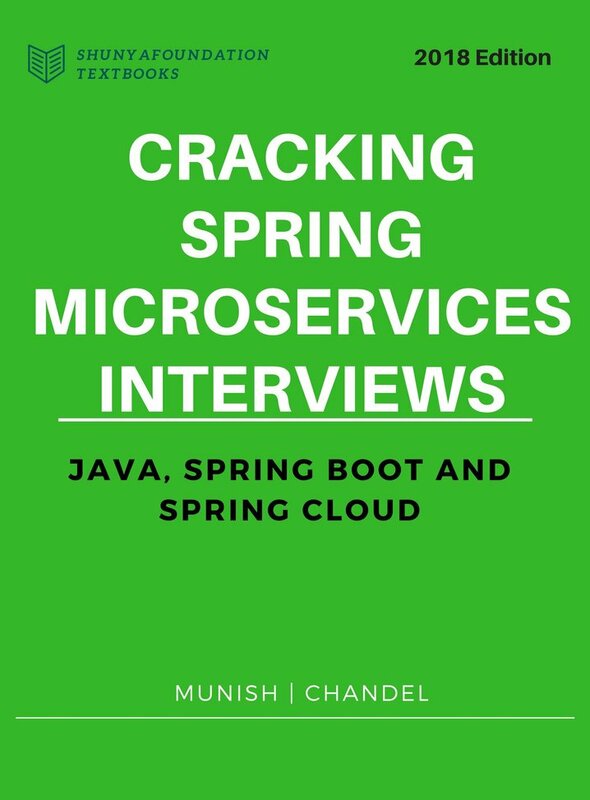 Most of these questions has been answered in my eBook "Cracking the Core Java Interview"